Engines spare parts are the biggest expense for any owner and by the virtue of intense requirement the engine manufacturers make the maximum profit in the sale of the spare parts. We, on the other hand, help you in lowering your expenses through our agglomeration of premium Replacement parts like Cylinder Head, Cylinder Head components, Con rods, fuel pumps, Cylinder liner, Piston, Gasket kits and Consumable parts. We also hold expertise in overhauling of any part in our dedicated workshop. Before delivering the product we have a strict quality check to ensure that the product matches the expectation of the client and is hazardless. We work on punctual schedules and in order to counter the time constraints we maintain a large stock of spare parts to meet the time deadlines. This strategy could be accredited to our company’s stupendous success. We, also, deal in prominent Brands like Fleet guard, Donaldson - U.S.A, I.T.R -Italy, Schweitzer- U.K brand of products. And maintain stocks of Federal Mogul Automotive Products, Federal Mogul Automotive Parts, Federal Mogul Spares Parts, FP Diesel Spares Parts etc. SWATHI AND POWERLINE ENGINEERS is a dealership firm providing solutions for the spare parts of heavy earth moving equipments, D.G Set machines. The company holds expertise in powerhouse maintenance management. The two partners of the firm hold a vast exposure in the field of mechanical and electrical engineering. For the last decade that we have been running, we have won the trust of many clients and have a staggering 300 clients from different industries in our list. Just the number is the verdict of our exceptional quality and dedication. The company draws knowledge from the owners’ vast experience and utilizes it to increase its efficiency day by day. In fact we are adept at complying with our clients and managing our work force in such a way that our productivity increases. 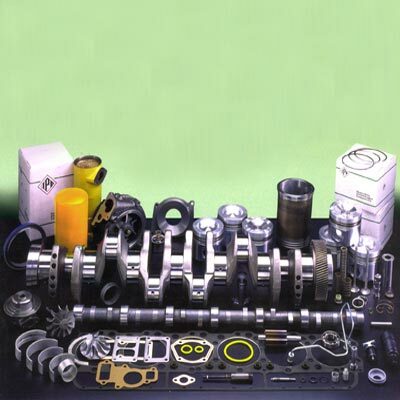 We are also the dealers for Federal Mogul Automotive Products for the Diesel Engine Spares. Also we are the Authorized Distributors of Federal Mogul Corporation, F.P Diesel – USA specially dealing with Caterpillar Engine Spare parts and Komatsu, Deteroit. Cummins and Heavy Earth Moving Equipments and we have wide Sales and Service Net work all over South India. Need any help in powerhouse maintenance management ?? All original manufacturer names, numbers, symbols and description are for reference purpose only and it is not implied that any part is the product of these manufacturers.